Starseed's Know-How to Create a Joyful Life! : Greetings! Hello and welcome, my dear guests! I want to help you improve your life! And for this purpose let me ask you a few questions. Perhaps, you don't get sufficient results from meditation? Or you do get a positive effect, but it's short-lived? Perhaps you can't concentrate on meditation because of the uncontrolled flow of thoughts? Perhaps you can't feel your soul as much as you would like? Or you do not quite understand your goals and desires? It doesn't seem like you have the full control of your life? Are you tired of waiting when your life will change for the better? Or you don't know what to do and often find yourself at a loose end? Or maybe you earn money, but don't like your job? Perhaps you do not want to earn money because you don't like the energy that you get from the work you do? Or you don't like the energy of people that you have to communicate with at work? If you answer "Yes" to at least one question, then my course is for you! You will get clear advice on how to change your life for the better in a comprehensive way in many aspects! So, for example, we will start by disconnecting you from all the bad things that prevent you from meditating and understanding your thoughts and desires. Then you will learn to communicate with yourself, understand your thoughts. There will be specific tips, step-by-step instructions and exercises. And you will know your own goals from yourself. After that, we will look at such financial activities in which you don't have to deal with negative people. And, by doing them, you will be happy in the material world. You will also learn the principle which can help you create unique creative art works, which no one else can do! And you will get step-by-step instructions for each activity! Thus, you will have a complete system to change your life for the better! And you will get all of this for free! 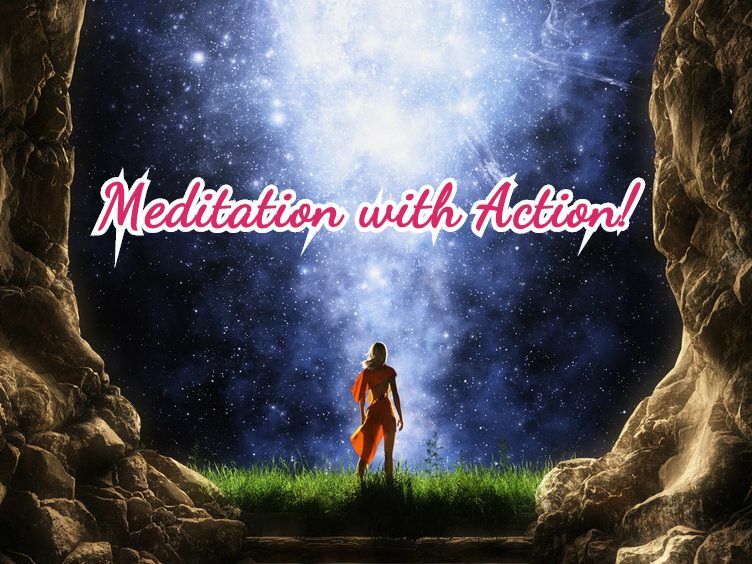 Meditation with action! Step by step instructions to create a joyful life! Hello my dear starseeds and lightworkers! My name is Anton and I want to help our community to become more happy and effective. I want to help starseeds improve their lifes. Because I see that many of you are tired of waiting for the Event to happen and don't know what to do. And many of you don't like to earn money because you don't like the energy that you get from the work you do. And also you may not like the energy of people that you have to communicate with at work. And I also see that some of you don't get proper results from meditations. And overall many of starseeds don't feel that they are living their life. Seeing this I decided to create a free course in which I give step by step instructions for you in order that you could easily change your life for the better in a comprehensive way in many aspects! And you can speed up the event by being proactive and happy. ✨Speaking about this Cobra's post. It is very important not to be ashamed about anything. Do not be ashamed of your thoughts, because that's the only way one can clear his mind! And In my free course you will receive specific advice on how to understand your thoughts and desires. And you can with the help of my course discover your mission and carry it out to the surface of the Planet Earth! My course will help you to provide yourself on physical level, provide your male and female qualities in concrete physical actions, which is very important in current situation when Mjolnir is going to hit the ground! 4) Step by step instructions how to choose a harmonious financial activity and be happy in the material world! 6) And also many other useful things. I have recently read a book that Cobra recommended (have read all 3 books). But this book turned out to be somekind of negative, it had a very depressing atmosphere, and I expected something positive.